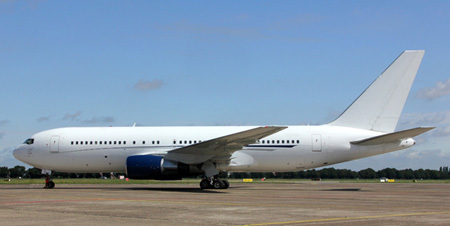 This stunning VIP Boeing 767 is available now for your next corporate or family trip. With 96 leather, fully flat bed seats and a mid cabin divan which converts to a bed you can travel the world in the lap of luxury. 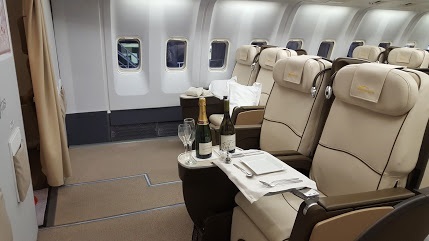 Taking the term “First Class” to a new level with an entirely First Class Cabin and a level of service that exceeds all expectation and is more aligned to that associated with smaller corporate jets. The range on this aircraft is exceptional meaning a range of 13 hours and the ability to fly any route in the world with no more than one fuel stop. This aircraft is ideal for sports and corporate teams, company incentives or larger family trips, music tours, weddings and product launches. Begin your holiday in the air in the lap of luxury. Inflight entertainment is provided through a wireless entertainment system allowing our guests to use their own smartphones or laptops to access a wide variety of movies, music, magazines and more, and each seat has a power point to charge your devices. Catering is offered throughout your flight with a wide choice of dining options and an open Champagne bar. You could also partner this with the Stunning SeaDream Yacht to create the perfect air and sea getaway. This is available for charter now and we’re ready to handle your enquiries, just give us a call on +44 (0)1202 33 17 21.